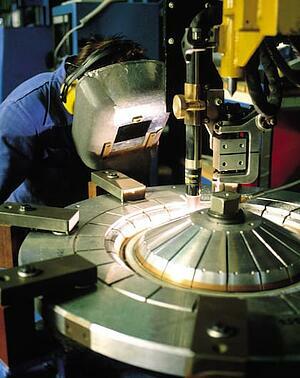 Few metal parts require more precision and quality than those used by the aerospace industry. At All-Type Welding and Fabrication, Inc., we have extensive experience with aerospace-grade metals, tolerances and welding, producing many parts used in aircraft for NASA, large commercial jets, private jets and other aerospace applications. We have certified aerospace welders, engineers and inspectors to guarantee precision at every phase of your project, ensuring each job is executed flawlessly. Needs to demonstrate its ability to consistently provide products that meet customer and applicable statutory and regulatory requirements. Aims to enhance customer satisfaction through the effective application of the system which, according to the International Organization for Standardization, includes processes for continual improvement of the system and the assurance of conformity to customer and applicable statutory and regulatory requirements. Working on a metal fabrication or aircraft welding project? Contact us to learn more about how we can help meet difficult specs on time and correctly for a range of aerospace sheet metal fabrication and welding applications. Working on a Design, Metal Fabrication or Welding Project for the Aerospace Industry?